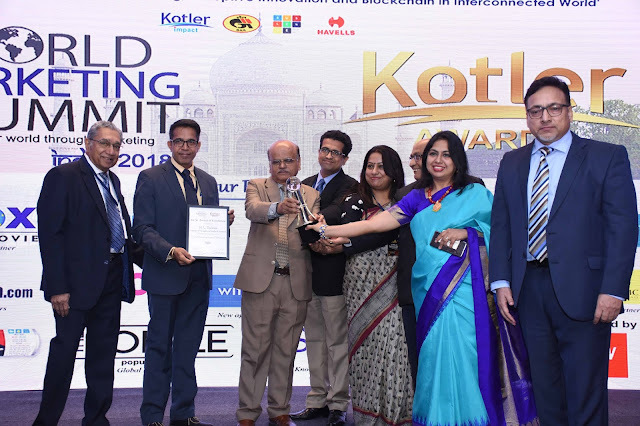 World Marketing Summit India 2018 and Kotler Awards of Excellence - were on the theme Industry 4.0 - Trans-formative Marketing, Disruptive Innovation, and block chain in an interconnected world. This edition featured keynote sessions led by industry experts from the marketing space. 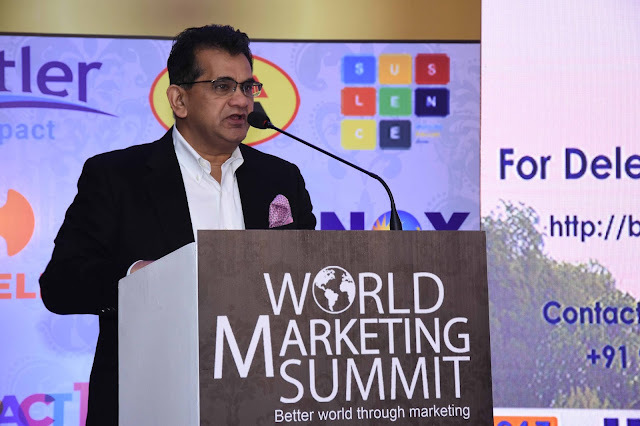 Amitabh Kant, CEO, NITI Aayog delivered the special address, followed by sessions topics that followed the theme of trans-formative marketing, disruptive innovation, and block chain in an interconnected world. The Indian Media & Entertainment industry which has registered an explosive growth in the last two decades making it one of the fastest growing industries in the country out shined other industries at the summit. The rising rate of investments by the private sector and foreign media & entertainment majors have improved India’s infrastructure to a great extent. A rise in the disposable income has seen an increased M&E consumption by Indians. The Indian film industry reached Rs 158.90 billion in FY18. The cases of business strategies were presented by the highly eminent speaker panel, which included Vineet Singh Hukmani, Managing Director & CEO, 94.3 Radio One, Walter Vieira, President, Marketing Advisory Services Group, Mayur Sethi, COO & Partner, WittyFeed, Saurabh Varma, CMO, INOX Leisure Ltd, Milind Pathak, Senior Vice President , PayTm. In addition to this, there was also an exclusive interactive panel discussion on “Marketing & Cinema: A Symbiotic Relationship” with Saurabh Varma, CMO, Inox Leisure Ltd. Siddharth Bhardwaj, CMO & National Sales Head, UFO Moviez and Rajat Tyagi, CIO, PVR Cinemas with Mr Anil Prabhakar, CEO, 4 Aay’s Consulting as the moderator. The addresses were followed by an audio conference with Prof. Philip Kotler, Father of Modern Marketing. 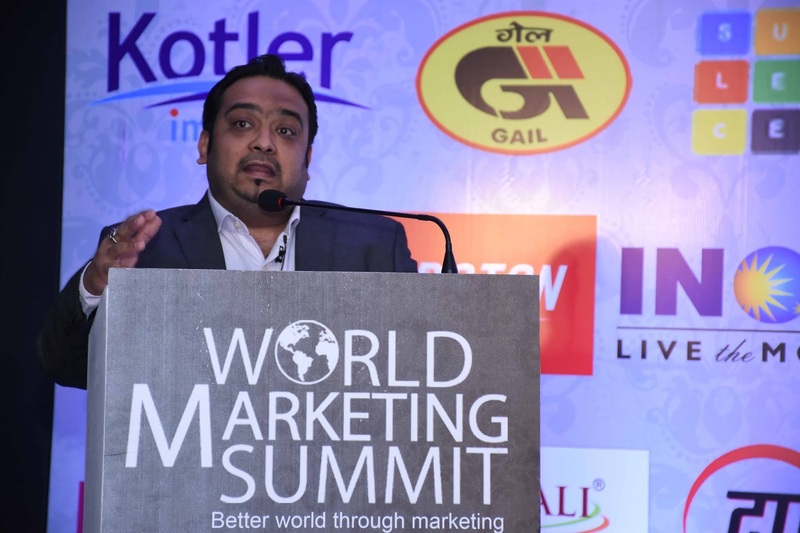 “The groups of experts and me at WMS India today want marketing to be shared, to reach the greatest number of people across the world. We want the discipline of marketing to make lives better. New technologies, new tools and new ideas are changing marketing. We have to stay alert about how effectively the old marketing is now turning into modern marketing. We are now in the digital age,” Prof. Kotler said. Following a day of in-depth technical discussions, case-studies and specially designed panel discussions, the programme concluded with the highly prestigious Kotler Awards of Excellence which felicitated this year's best performing organizations and distinguished individuals. The winners included PVR Cinemas for Digital Transformation, Wowffers.com for upcoming deals app, Radio One for Excellence in Marketing Differentiation, INOX Leisure Limited for Excellence in Multiplex marketing, UFO Moviez for Cinema Advertising, Rachaiyta Films for Upcoming Production House India and Witty Feed for Best Video Platform. According to Digital Advertising Report by Dentsu Aegis Network; advertising revenue in India is expected to grow 15.20 per cent during 2018-2023, to reach Rs 1,232.70 billion in FY23 from Rs 608.30 billion in FY18. India digital advertising market has reached Rs 8,202 crore in 2017 and is forecasted to grow at a CAGR of 32 per cent to reach Rs 18,986 crore by 2020. India’s digital revenues are expected to reach US$394.22 million by 2021. India is the largest television market in the world with Rs 651.90 billion in revenue in FY18. The Indian film industry is expected to grow at a CAGR of 7.60 per cent during 2018-2023. This year’s summit was an unparalleled gathering of international and our very own Indian marketing leaders who came together initiate a dialogue about not just innovating but also creating a better world through marketing.